A long time ago... 40 years to be exact. Star Wars was released in America. Now, I wouldn't see George Lucas' space opera until early 1978. But, that's for context as Star Wars hadn't opened in the UK when I was admitted into children's hospital, following a serious head injury in primary school, in October 1977. 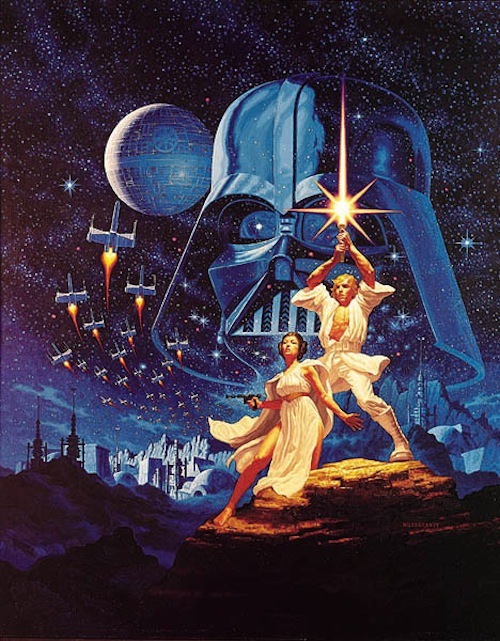 I remember the American neurosurgeon - who saved my life alongside a talented, international, team - saying I had to promise him I'd see Star Wars and Close Encounters of the Third Kind, and gave me a poster of R2-D2 and C-3PO as a parting gift! A few months after being discharged from hospital, I moved house with my folks, an uncle gifted me a copy of John Williams' Star Wars soundtrack LP and an aunt gifted me an R2-D2 action figure for Christmas. Each lunchtime at home (the primary school I was moved to wouldn't accept liability outside of classroom hours) I'd eat a bacon sandwich (or similar snack), play the soundtrack, and let my imagination soar as R2-D2 embarked on another secret mission. Then in early 1978, aged 5, mum took me to see Star Wars at Odeon Exeter. Dad had to carry me up a flight of stairs (I was wheelchair bound at the time). Once we'd been shown to our seats, by helpful staff, a mother and young daughter appeared. Mum was a warm lady and was asked if she would keep an eye on the daughter during the movie? As always, she was more than happy to oblige and I had a new friend with which to share this inaugural cinematic experience with. In the wake of seeing Star Wars, I'd graduated into becoming a film geek for life. Marvel's "making of" magazine, with a cover featuring poster art by the Hildebrandt brothers, fell to bits (it was read daily). Cinema trips became a school holiday treat. Collecting Star Wars action figures and accessories meant Star Wars was every day, friendships forged (many of which last to this day) and playground adventures shared. Amassed quite a collection from Star Wars to Return of the Jedi. My favourite toys included 12" Boba Fett, AT-AT, Imperial Troop Transport, Darth Vader's Star Destroyer action playset and an Imperial Shuttle. As much as I wanted to play the hero, the Empire always looked cooler to me. Because Stormtroopers, Darth Vader and Boba Fett. Fun fact: I thought Stormtroopers were robots until The Empire Strikes Back! From the age of 5 until 17, I was an outpatient undergoing rehabilitation for head trauma. Whilst there would be times I'd feel alienated (who doesn't? 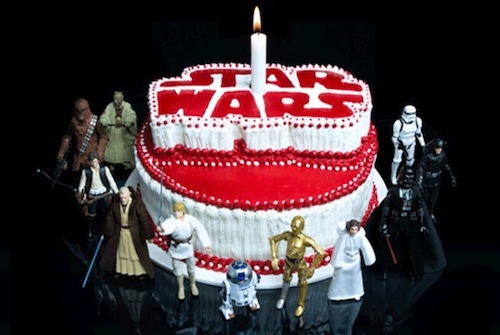 ), Star Wars remained a constant force (pun intended) for inspiration. If a farm boy could become a Jedi, then I could learn to walk again and help others. In 1997, whilst working as an online journalist, I was interviewed for a BBC documentary commemorating the 20th anniversary of Star Wars. 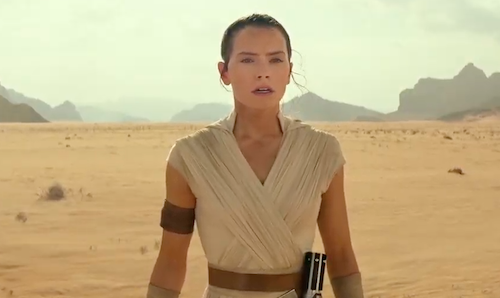 Lucasfilm, now owned by Disney, decided to drop the fan segment. But, I'll always be determined to make a contribution to the franchise's legacy in some small way. Further to this, I worked on The Gemini Apes starring Sir Christopher Lee. Lee would go on to play Count Dooku in the Star Wars prequels. Last summer was momentous. 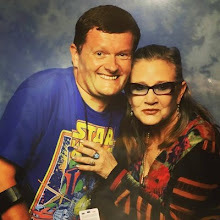 With a close friend, I met Carrie Fisher (Princess Leia) and Mark Hamill (Luke Skywalker) at Star Wars Celebration Europe. Five year old me would never have believed it. Profoundly poignant in view of Fisher's death last December. Next month marks the tenth anniversary of mum's death due to medical trauma. Star Wars was given an honourable mention during her funeral service. So, today I'll watch the original trilogy in mum's memory. 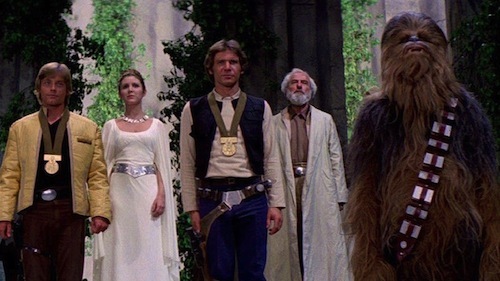 Through the good times and bad, Star Wars is without doubt the defining film in my life. Thank you, George Lucas!